1610–1780 population data. Note that the census numbers do not include Native Americans until 1860. English transfer-printed Staffordshire pottery jug with US population by state, c. 1790. Nearly all commercial activity was run in small privately owned businesses with good credit both at home and in England being essential since they were often cash poor. Most settlements were nearly independent of trade with Britain as most grew or made nearly everything they needed—the average cost of imports per most households was only about 5-15 English pounds per year. Most settlements were created by complete family groups with several generations often present in each settlement. Probably close to 80% of the families owned the land they lived and farmed on. They nearly all used English Common Law as their basic code of law and, except for the French, Dutch and Germans, spoke some dialect of English. They established their own popularly elected governments and courts and were, within a few years, mostly self-governing, self-supporting and self-replicating. Nearly all colonies and, later, states in the United States were settled by migration from another colony or state, as foreign immigration usually only played a minor role after the first initial settlements were started. Many more settlers arrived in the middle colonies starting in about 1680, when Pennsylvania was founded and many Protestant sects were encouraged to settle there for freedom of religion and good, cheap land. These settlers were of about 60% German and 33% English extraction. By 1780 in New York about 27% of the population were descendants of Dutch settlers 55,000 of 204,000. New Jersey had the rest of the Dutch where they were 14% of the population of 140,000. The rest were mostly English with a wide mixture of other Europeans and about 6% Blacks. New Jersey and Delaware had a majority of British with 20% German-descended colonists, about a 6% black population, and a small contingent of Swedish descendants of New Sweden. Nearly all were at least third-generation natives. The main drive of the economy in Virginia, Maryland and South Carolina was large plantations growing staples for export, especially tobacco and rice. Outside the plantations, land was farmed by independent farmers who rented from the proprietors, or (most often) owned it outright. They emphasized subsistence farming to grow food for their large families. Many of the Irish and Irish immigrants specialized in rye-whiskey making, which they sold to obtain cash. In Maryland, by 1700 there were about 25,000 people and by 1750 that had grown more than 5 times to 130,000. By 1755, about 40% of Maryland's population was black. From 1717 to 1775 the western frontier was settled primarily by Presbyterian settlers who migrated in large part from Scotland and Ireland. Frontier settlers initially landed in Philadelphia or Baltimore before migrating to the western frontier for the cheaper land. ^ Maine was part of Massachusetts from about 1652 to 1820, when it was granted statehood as part of the Missouri Compromise. ^ New Hampshire was part of Massachusetts until about 1685, when it was split off and established under a British appointed governor. It was one of the original 13 colonies. ^ Vermont was contested between the French and British settlers until the British victory French and Indian war (1755–1763) ended French threats with the cessation of French Canada to Britain. The territory was then disputed between Massachusetts, New York and New Hampshire until the settlers declared their independence from all of them and were accepted as the 14th state in 1791 and participated in the 1790 census a year late. ^ Plymouth, Massachusetts despite being the first permanent New England settlement, lost its charter in 1690 and became part of the Massachusetts colony. ^ By 1784 all slavery in the New England states was either completely prohibited or transitioning to its total prohibition. ^ By 1804 all slavery in the Middle colonies (except Delaware [6.6% Black]) was either completely prohibited or was transitioning to its total prohibition. ^ All slavery was prohibited in the entire U.S. in 1865 by the 13th amendment to the constitution. According to one source  the following were the countries of origin for new arrivals coming to the United States before 1790. The regions marked * were part of Great Britain. The ancestry of the 3.9 million population in 1790 has been estimated by various sources by sampling last names in the 1790 census and assigning them a country of origin. The Irish in the 1790 census were mostly Scots Irish. The French were mostly Huguenots. The total U.S. Catholic population in 1790 is estimated at 40,000 or 1.6%, perhaps a low count due to prejudice. The Native American Indian population inside territorial U.S. 1790 boundaries was less than 100,000. During the 17th century, approximately 350-400,000 English people migrated to Colonial America. However only half stayed permanently. They were 90% of whites in 1700. From 1700 to 1775 between 400-500,000 Europeans immigrated, 90% being Scots, Scots-Irish, Irish, Germans and Huguenots. Only 45,000 English supposedly immigrated in the period 1701 to 1775, a figure that has been questioned as too low. Elsewhere the number given is 51,000 (80,000 in total less 29,000 Welsh). The figure of 45,000 has been questioned as a "mystery". These numbers do not include the 50,000-120,000 convicts transported, 33,000 of whom were English. Even the very high birth rate may not account for all of the nine-fold increase from 230,000 to 2.1 million. Another estimate with very similar results to the ICPS study (except for the French and Swedish totals) gives the number of Americans of English ancestry as 1.9 million in 1790 or 47.9% of the total of 3.930 million (3.5% Welsh, 8.5% Scotch Irish, 4.3% Scots, Irish (South) 4.7%, German 7.3%, Dutch 2.7%, French 1.7%, Swedish 0.2% and Black, 19.3%. The southern Irish were overwhelmingly Protestant. The 1790 population already reflected the approximate 50,000 "Loyalists" who had emigrated to Canada during and at the end of the American Revolution, 7-10,000 who went to the UK and 6,000 to the Caribbean. 30,000 Americans emigrated to Ontario Canada in the 1790s, often referred to as "Late Loyalists." They were for the most part not political refugees but went for generous land grants and tax 3/4 less than in the United States. In the early years of the U.S., immigration was only about 6,000 people a year on average, including French refugees from the slave revolt in Haiti. The French Revolution, starting in 1789, and the Napoleonic Wars from 1792 to 1814 severely limited immigration from Europe. The War of 1812 (1812–1814) with Britain again prevented any significant immigration. By 1808 Congress had banned the importation of slaves, slowing that human traffic to a trickle. After 1820 immigration gradually increased. For the first time federal records, including ship passenger lists, were kept for immigration. Total immigration for the year 1820 was 8,385, gradually building to 23,322 by 1830, with 143,000 total immigrating during the decade. From 1831 to 1840 immigration increased greatly, to 599,000 total, as 207,000 Irish, even before the famine of 1845-49, started to emigrate in large numbers as Britain eased travel restrictions. 152,000 Germans, 76,000 British, and 46,000 French formed the next largest immigrant groups in that decade. From 1841 to 1850 immigration exploded to 1,713,000 total immigrants and at least 781,000 Irish, with the famine of 1845-1849 driving them, fled their homeland to escape poverty and death. In attempting to divert some of this traffic to help settle Canada, the British offered bargain fares of 15 shillings for transit to Canada, instead of the normal 5 pounds (100 shillings). Thousands of poor Irish took advantage of this offer and headed to Canada on what came to be called the "coffin ships" because of their high death rates. Once in Canada, many Irish walked across the border or caught an intercoastal freighter to the nearest major city in the United States - usually Boston or New York. Bad potato crops and failed revolutions struck the heart of Europe in 1848, contributing to the decade's total of 435,000 Germans, 267,000 British and 77,000 French immigrants to America. Bad times in Europe drove people out; land, relatives, freedom, opportunity, and jobs in America lured them in. In 1965, U.S. immigration law changes reduced the emphasis on national origin. Prior policy favored European immigrants. The 1965 law directed that those with relatives in the U.S. or employer sponsorship now had priority. By the 1970s, most immigrants to the U.S. came from Latin America or Asia instead of Europe. Since 2000, over three quarters of all immigrants to the U.S. have come from Asia and Latin America. In the years after WWII, the United States, as well as a number of other industrialized countries, experienced an unexpected sudden birth rate jump. During WWII birthrates had been low, as millions of men had been away fighting in WWII and this had deterred women from starting families: women also had to take the place of men in the workplace, while simultaneously fulfilling their household duties. The millions of men coming back to the US after WWII, and the couples eager to start families, led to a sharp rise in the US birth rate, and a surge in new housing construction in the suburbs and outlying areas of the cities. Since the men who came back got jobs in the workplace again, married women stayed home to take care of the house and children and let their husbands be the breadwinner of the household. The number of children aged 0–4 increased to 16,410,000 in 1950 from 11,000,000 in 1940, it continued into the 1960s where it peaked at 20,000,000 children under the age of 5. According to statistics, the United States currently has the highest marriage rate in the developed world, as of 2008, with a marriage rate of 7.1 per 1,000 people or 2,162,000 marriages. The average age for first marriage for men is 27.4 and 25.6 years for women. The United States also has one of the highest proportions of people who do marry by age 40; approximately 85% Americans are married at 40, compared to only 60% in Sweden. Between 1880 and 1900, the urban population of the United States rose from 28% to 40%, and reached 50% by 1920, in part due to 9,000,000 European immigrants. After 1890 the US rural population began to plummet, as farmers were displaced by mechanization and forced to migrate to urban factory jobs. After World War II, the US experienced a shift away from the cities and into suburbs mostly due to the cost of land, the availability of low cost government home loans, fair housing policies and construction of highways. Many of the original manufacturing cities lost as much as half their populations between 1950 and 1980. There was a shift in the population from the dense city centers filled with apartments, row homes, and tenements; to less dense suburban neighborhoods outside the cities which were filled with single family homes. ^ "CT1970p2-13: Colonial and Pre-Federal Statistics" (PDF). United States Census Bureau. 2004. p. 1168. Retrieved 20 August 2015. ^ a b Historical Census Statistics on Population Totals By Race, 1790 to 1990... Archived 2012-08-06 at WebCite. U.S. Census Bureau. Retrieved 2013-05-28. ^ "Median Age at First Marriage, 1890–2010". Infoplease.com. Retrieved April 12, 2013. ^ Daniel Scott Smith, "The demographic history of colonial New England." Journal of Economic History 32#1 (1972): 165-183. ^ Ibpus.com, ed. (2013). US Citizenship, Naturalization Regulation and Procedures Handbook: Practical Information and Contacts. Int'l Business Publications. p. 10. ISBN 1577515544. ^ "Maine enters the Union". History.com. Retrieved 17 August 2015. ^ Meyerink, Kory L; Szucs, Loretto Dennis (1997). 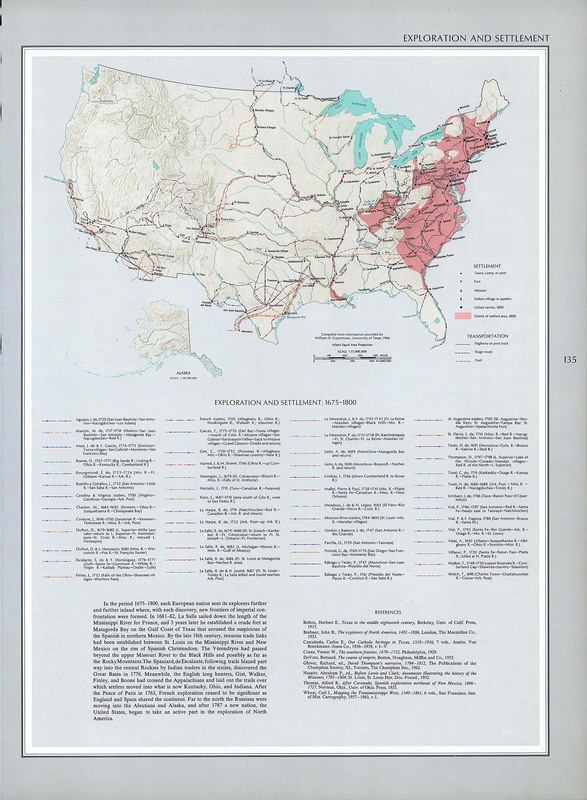 The Source: a Guidebook of American Genealogy. Salt Lake City: Ancestry. ^ a b Butler, Jon (2000). Becoming America, the Revolution before 1776. Harvard: Harvard University Press. pp. 34, 35. ISBN 978-0674006676. ^ "Trends in Migration to the U.S. – Population Reference Bureau". www.prb.org. ^ James N. Gregory, The Southern Diaspora: How the Great Migrations of Black and White Southerners Transformed America (2007). ^ William J. Collins, "Race, Roosevelt, and wartime production: fair employment in World War II labor markets." American Economic Review (2001): 272-286. ^ CDC Bottom of this page https://www.cdc.gov/nchs/products/vsus.htm "Vital Statistics of the United States, 2003, Volume I, Natality", Table 1-1 "Live births, birth rates, and fertility rates, by race: United States, 1909-2003." ^ "US Census Press Releases". 17 December 2005. Archived from the original on 17 December 2005. ^ Chafe, William Henry (2003). The Unfinished Journey: America Since World War I. New York: Oxford University Press. p. 118. ISBN 0-19-515048-1. ^ "Births, Marriages, Divorces, and Deaths: Provisional Data for 2008". Centers for Disease Control and Prevention. Retrieved 20 August 2015. ^ Steven Mintz and Susan Kellogg, Domestic revolutions: A social history of American family life (1989). ^ "Suburbanization: Causes and Effects". infograph.venngage.com. Black flight is a term applied to the migration of African Americans from predominantly black or mixed inner-city areas in the United States to suburbs and newly constructed homes on the outer edges of cities. While more attention has been paid to this since the 1990s, the movement of blacks to the suburbs has been underway for some time, with nine million people having migrated from 1960 to 2000. Their goals have been similar to those of the white middle class, whose out-migration was called white flight: newer housing, better schools for their children, and attractive environments. From 1990 to 2000, the percentage of African Americans who lived in the suburbs increased to a total of 39 percent, rising 5 percent in that decade. Most who moved to the suburbs after World War II were middle class.Early years of residential change accelerated in the late 1960s after passage of civil rights legislation ended segregation, and African Americans could exercise more choices in housing and jobs. Since the 1950s, a period of major restructuring of industries and loss of hundreds of thousands of industrial jobs in northeast and Midwest cities began. Since the late 20th century, these events led to reduced density in formerly black neighborhoods in cities such as Chicago, Detroit, and Philadelphia, which have also had absolute population decreases, losing white population as well. Since the 2000 census, the number and proportion of black population has decreased in several major cities, including New York, Los Angeles, Atlanta, Boston, San Francisco, Seattle, St. Louis and Washington, DC.In addition to moving to suburbs, since 1965 African Americans have been returning to the South in a New Great Migration, especially since 1990 to the states of Georgia, Texas, and Maryland, whose economies have expanded. In many cases, they are following the movement of jobs to the suburbs and the South. Because more African Americans are attaining college degrees, they are better able to find and obtain better-paying jobs and move to the suburbs. Most African-American migrants leaving the northern regions have gone to the "New South" states, where economies and jobs have grown from knowledge industries, services and technology. The Conestoga wagon is a heavy covered wagon that was used extensively during the late eighteenth century, and the nineteenth century, in the eastern United States and Canada. It was large enough to transport loads up to 6 tons (5.4 metric tons), and was drawn by horses, mules, or oxen. It was designed to help keep its contents from moving about when in motion and to aid it in crossing rivers and streams, though it sometimes leaked unless caulked. The term Conestoga wagon refers specifically to this type of vehicle; it is not a generic term for "covered wagon". The wagons used in the westward expansion of the United States were, for the most part, ordinary farm wagons fitted with canvas covers. A true Conestoga wagon was too heavy for use on the prairies. The covered wagon was long the dominant form of transport in pre-industrial America. With roots in the heavy Conestoga wagon developed for the rough, undeveloped roads and paths of the colonial East, the covered wagon spread west with American migration. Heavily relied upon along such travel routes as the Great Wagon Road and the Santa Fe and Oregon Trails, it carried settlers seeking land, gold, and new futures ever further west. With its ubiquitous exposure in 20th century media, the covered wagon grew to become an icon of the American West. The fanciful nickname Prairie Schooner and romantic depiction in wagon trains only served to embellish the legend. The demographics of Hispanic and Latino Americans depict a population that is the second-largest ethnic group in the United States, 52 million people or 16.7% of the national population, of them, 47 Million are American citizens. Hispanic population is much younger than the rest of the country, less educated, less wealthy, with a very large immigrant component, of no less than two dozen national origins and of every race, with a longer life expectancy than their fellow Americans, and geographically concentrated in the southwestern United States.A large proportion of Hispanics that came from Latin America to the U.S. as adults have academic degrees because public university systems in most countries of Latin America are free or very low cost and some of them continue their education or career in the US. More than 40 % of Hispanic students are in college or are attending to college. The depopulation of the Great Plains refers to the large-scale migration of people from rural areas of the Great Plains of the United States to more urban areas and to the east and west coasts during the 20th century. This phenomenon of rural-to-urban migration has occurred to some degree in most areas of the United States, but has been especially pronounced in the Great Plains states, including Texas, Oklahoma, Kansas, Nebraska, South Dakota, North Dakota, Montana, Wyoming, Colorado, and New Mexico, where many counties have lost more than 60 percent of their former populations. Depopulation began in the early 1900s, accelerated in the Dust Bowl years of the 1930s, and has generally continued through the most recent national census in 2010. The population decline has been broadly attributed to numerous factors, especially changes in agricultural practices, rapid improvements in urban transit and regional connectivity, and a steadily faltering rural job market. The educational attainment of the U.S. population is similar to that of many other industrialized countries with the vast majority of the population having completed secondary education and a rising number of college graduates that outnumber high school dropouts. As a whole, the population of the United States is spending more years in formal educational programs. As with income, levels differ by race, age, household configuration and geography.Overall, the households and demographics featuring the highest educational attainment in the United States are also among those with the highest household income and wealth. Thus, while the population as a whole is proceeding further in formal educational programs, income and educational attainment remain highly correlated. This list tracks and ranks the population of the top 10 largest cities and other urban places in the United States by decade, as reported by each decennial United States Census, starting with the 1790 Census. For 1790 through 1990, tables are taken from the U.S Census Bureau's "Population of the 100 Largest Cities and Other Urban Places in the United States: 1790 to 1990." For year 2000 rankings, data from the Census Bureau's tally of "Cities with 100,000 or More Population Ranked by Selected Subject" is used. The 2010 rankings are based on the 2010 census results.The Census Bureau's definition of an "urban place" has included a variety of designations, including city, town, township, village, borough, and municipality. The top 10 urban areas in 1790 consisted of various places designated as cities, towns and townships. The top 10 urban areas in 2010 are all separate incorporated places. This list generally refers only to the population of individual urban places within their defined limits at the time of the indicated census. Some of these places have since been annexed or merged into other cities. Other places may have expanded their borders due to such annexation or consolidation. For example, after the 1898 consolidation of New York City, the Census Bureau has defined all the boroughs within its city limits as one "urban place". Similarly, Philadelphia's population has included the census counts within both the former urban areas of Northern Liberties, Pennsylvania and Southwark, Pennsylvania ever since Philadelphia's 1854 consolidation. The Northeastern United States, also referred to as simply the Northeast, is a geographical region of the United States bordered to the north by Canada, to the east by the Atlantic Ocean, to the south by the Southern United States, and to the west by the Midwestern United States. The Northeast is one of the four regions defined by the United States Census Bureau for the collection and analysis of statistics.The Census Bureau-defined region has a total area of 181,324 sq mi (469,630 km2) with 162,257 sq mi (420,240 km2) of that being land mass. Although it lacks a unified cultural identity, the Northeastern region is the nation's most economically developed, densely populated, and culturally diverse region. Of the nation's four census regions, the Northeast is the second most urban, with 85 percent of its population residing in urban areas, led by the West with 90 percent. An Okie is a resident, native, or cultural descendant of Oklahoma. It is derived from the name of the state, similar to Texan or Tex for someone from Texas, or Arkie or Arkansawyer for a native of Arkansas. In the 1920s in California, the term (often used in contempt) came to refer to very poor migrants from Oklahoma (and nearby states). The Dust Bowl and the "Okie" migration of the 1930s brought in over a million newly displaced people; many headed to the farm labor jobs advertised in California's Central Valley. Dunbar-Ortiz (1998) argues that "Okie" denotes much more than being from Oklahoma. By 1950, four million individuals, or one quarter of all persons born in Oklahoma, Texas, Arkansas, or Missouri, lived outside the region, primarily in the West. Prominent Okies in the 1920s included Woody Guthrie. Most prominent in the late 1960s and 1970s were country musician Merle Haggard and writer Gerald Haslam. In the context of the 20th-century history of the United States, the Second Great Migration was the migration of more than 5 million African Americans from the South to the Northeast, Midwest, and West. It began in 1940, through World War II, and lasted until 1970. It was much larger and of a different character than the first Great Migration (1916–1940), where the migrants were mainly rural farmers from the South and only came to the Northeast and Midwest. In the Second Great Migration, not only the Northeast and Midwest continued to be the destination of more than 5 million African Americans, but also the West as well, where cities like Los Angeles, Oakland, Phoenix, Portland, and Seattle offered skilled jobs in the defense industry. Most of these migrants were already urban laborers who came from the cities of the South. In addition, African Americans were still treated with discrimination in parts of the country, and many sought to escape this. Studies in American Demography is a 1940 book, written by Walter F. Willcox and published by Cornell University Press. It was one of the first publications to estimate the world population had exceeded 1 billion people in 1800. Sociologists have identified a number of different types of rural communities, which have arisen as a result of changing economic trends within rural regions of industrial nations. The basic trend seems to be one in which communities are required to become entrepreneurial. Those that lack the sort of characteristics mentioned below, are forced to either seek out their niche or accept eventual economic defeat. These towns focus on marketing and public relations whilst bidding for business and government operations, such as factories or off-site data processing. For instance, International Falls, Minnesota markets itself as a site for sub-zero temperature experiments, Ottawa, Illinois has attracted three Japanese firms, Freeport, Maine has become a center for mail-order companies such as L. L. Bean, and Mobile, Arizona has become the home of a number of solid-waste landfills. Will it play in Peoria? is a figure of speech that is traditionally used to ask whether a given product, person, promotional theme, or event will appeal to mainstream America, or across a broad range of demographic and psychographic groups. Yinzer is a 20th-century term playing on the Pittsburgh, Pennsylvania, second-person plural vernacular "yinz." The word is used among people who identify themselves with the city of Pittsburgh and its traditions.